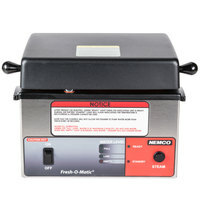 Incorporate a burger steamer into your kitchen's arsenal for a solution to cooking, reheating, and moistening hamburgers at your fast food establishment, concession stand, or bar. Steamed burgers are a unique menu item in restaurants, adding a thick, juicy hamburger that can be cooked in a few minutes without someone having to man the grill for the entire cooking process. Use a steamer to melt cheese, moisten buns, or get toppings nice and juicy, too. Coming in both small countertop units and large industrial models, our selection of burger steamers will fit your kitchen's needs. 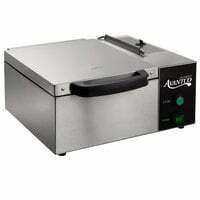 Steamers are a versatile tool, cooking everything from vegetables and pasta to seafood and other meats.